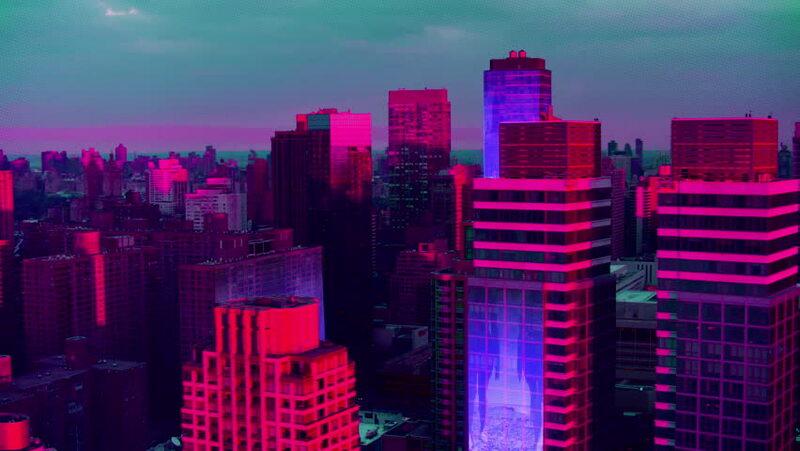 Aerial view of a Dystopian New York city in the future with projection mapping on buildings with cyberpunk, neon colors. Wide shot. Shot on 4k RED camera.